UPDATE as of April 19, 2018, 10:00AM – Registration is now CLOSED for April 21, AP101 as we’ve met the number of seats allowed at the venue. See you confirmed participants! There will be another by May 2018, please send team.apphil@gmail.com an email if you want to be notified of the date and venue for the next event. Thank you for your support! A.) Php2,200 if joining by yourself. B.) Php2,000 per person if joining with buddy or group (example for 2 participants, Fee is Php4,000). C.) Php2,500 for walk-ins, only if we have remaining seats, please confirm seat availability by calling +639257314856 a day before the event. Note: Fee is inclusive of lunch and supplemental printed manual, D-I-Y guides and other aquaponics references. Highlights of the Aquaponics 101: What is aquaponics (AP), Why AP?, cycling, bacteria, fish and plant health, what can be grown, organic source of plant nutrients, water parameters and test kits, grow media, system maintenance, different AP designs and working models for hobby and backyard scale, components of an AP system, bill of materials for small AP kit, sizing a backyard ap system, Backyard setup D-I-Y Guides, intro to a model commercial aquaponics system, tips if going commercial, lessons learned and some value adding ideas, open forum. How to reserve a seat: Please reserve a seat by sending us an email at team.apphil@gmail.com or Viber message via +639257314856. Please note that seats are limited and walk-in is not recommended as seats are reserved to confirmed participants who settled fee in advance. Seat reservation policy: Reservation is done thru advance payment to our BDO account. Once reserved, seat will already be allocated to you. Reserved seats are transferable, but not refundable. In case you cannot attend, please send a representative to take your place, otherwise payment will be forfeited. We will send the bank account details to those who contacted us via email team.apphil@gmail.com or Text/Viber +639257314856. Hoping for your understanding. The event will push thru rain or shine. 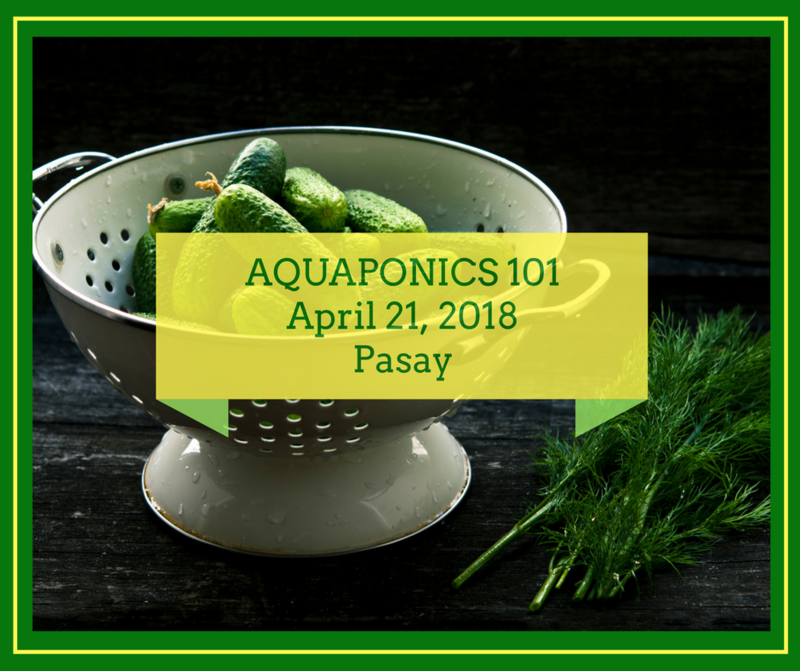 Aquaponics Philippines is a site designed to serve aquaponics enthusiasts and hobbyists in the Philippines.